For a special treat, I have for you the cover for Laurie Lyons' next book, GATES! out May 24! Get your hands on this baby for sure! My review of her first book, Feather, will be coming soon, so keep an eye out for that. A thin strand of ivy stretched on its own and reached down for his hand, entwining itself around his finger. Nathaniel twisted it in his fingers thoughtfully. “What am I going to do?” he whispered at the moon. He looked at Lucy’s sleeping face again and then at the moon. “Save her,” he almost begged, “let it kill me but save her, if you can.” He gazed back at her, a pained smile twisted on his mouth. He leaned his head back against the pillow and let go of the ivy, watching it wind its way back up to the rafters. He didn’t sleep. This was not going to end well. In the second book of The Feather Trilogy, Lucy and Nathaniel have started their sophomore year at Mulbridge University. 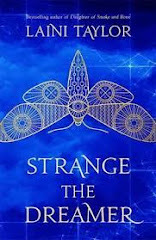 Everything seems perfect but a series of strange accidents leave them both wondering if something sinister is lurking. Is it just fate or is something evil after Lucy’s soul? Does Roman, recently returned from the depths of Hell, have anything to do with it? Nathaniel and Lucy struggle to find answers until all is terrifyingly revealed on the Winter Solstice in an ending that will leave you breathless. Gates is an exhilarating, exciting read that will keep you guessing until the very last page. How far are you willing to go to save your true love’s soul? Laurie Lyons is the author of “Feather”, the first book in The Feather Trilogy with Ring of Fire Publishing and “The Heart Tree” short story with Little Bird Publishing House. Laurie wrote her first story at the age of 8 and hasn’t really stopped since. She lives in Calgary Alberta, Canada with her husband Trevor and their two clever children. She loves writing, reading and sharing her love of both with students during author presentations. “Gates” is the second of thousands of novels from her.